The new kits have been unveiled, the kangaroos have been cuddled and the criterium completed. Now it’s time to start the season proper. This year’s Tour Down Under route isn’t new but it is improved, the Corkscrew climb is back and the Willunga Hill stage on Sunday is the final moment of the race. Here’s a look at the route, contenders, TV timings, coverage and more. Stage 1, Tuesday, 129km: abbreviated because of the forecast hot weather it’s out from Adelaide to do some loops before heading back to Port Adelaide for a sprint. The climb of Snake Gulley will be a virtual finish line for some because win this and they’ll be on the podium to collect the mountains jersey. The finish is pan flat. Forecast finish time: 2.24pm (4.54 am CET, 3.54am UTC/GMT, 22.54 EST). Stage 2, Wednesday, 122km: also shortened, this trip out to the Barossa valley and its vineyards includes another early climb to encourage a breakaway to go clear and another likely sprint finish. Forecast finish time: 2.22pm (4.52 am CET, 3.52am UTC/GMT, 10.52pm EST). Stage 3, Thursday, 146km: 3,300m of vertical gain says the roadbook and it feels too much but no, map the route for yourself and it all adds up, a a good amount any day and plenty for January. It’s still no mountain stage but the hilly circuit around Uraidla is a fitness test for all and something for several teams to exploit, whether for the stage win or the overall. Forecast finish time: 2.39pm (5.09 am CET, 4.09am UTC/GMT, 11.09pm EST). Stage 4, Friday. 129.2km: a crucial day with the exciting Corkscrew climb and the fast descent to Campbelltown. Coming after Kangaroo Creek – what else? – this road doesn’t take its name from the local wineries, instead it’s got several hairpin bends, a rarity for South Australia and an obvious draw for local cyclists. The climb is 3.7km long and the gradient hits 10% before a fast, twisty descent into town and a flat finish. Forecast finish time: 2.24pm (4.54 am CET, 3.54am UTC/GMT, 22.54 EST). Stage 5, Saturday, 149.5km: a lull for the GC riders although relax and some could be caught out in the crosswinds or just for a bonus sprint in this stage that includes several coastal sections before heading back inland for a flat finish in Strathalbyn. Forecast finish time: 3.32pm (6.02am CET, 5.02am UTC/GMT, 12.02am EST). 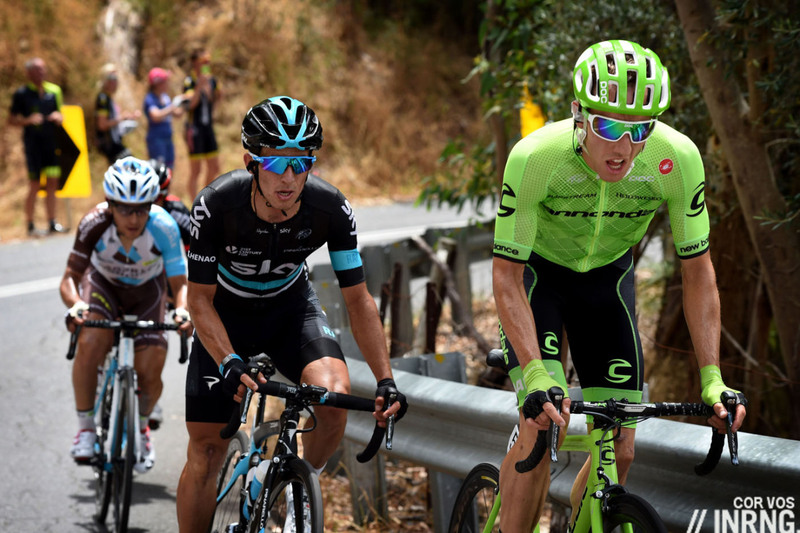 Stage 6, Sunday, 151.5km: the royal stage with Old Willunga Hill. The race tours the vineyards and the coast at Aldinga with circuits. Old Willunga Hill is the key, it’s 3km at an average if 7.5%, a steady gradient and a wide road most of the way and exposed if there’s any wind too. It’s a tactical finish, being on the right wheel matters as the speed is so high, the idea is to ride the slipstream of your rival and then strike out as late as possible, but before everyone else. Forecast finish time: 2.58pm (5.28 am CET, 4.28am UTC/GMT, 11.28pm EST). Time bonuses: 10-6-4 seconds at the finish line and 3-2-1 seconds at the intermediate sprints. The Contenders: one of the hardest races to predict given form is unknown, even the Australian championships didn’t give up many clues because an early breakaway went clear. It’s also a race won in tiny moments rather than one set-piece attack, the accumulation of time bonuses has been decisive in recent years. Daryl Impey won last year and not just thanks to time bonuses but he was tied on time so it went to countback. He’ll have it harder this time, he was able to collect time bonuses thanks to three second place finishes on the stages but Corkscrew climb presents more of a challenge, he’ll have to crest it with the leaders and then hope to take time bonuses, all this when being marked. In Impey’s advantage comes his ability in sprint finishes, he can place and has a strong Mitchelton-Scott team with Cameron Meyer as an outsider but the team probably has to pick one rider to guide to time bonuses so Meyer’s probably more back-up than co-leader. Richie Porte returns and has little to prove: win and it’s to be expected; lose and something’s gone unusually wrong, or at least if he finishes without the almost habitual win atop Willunga, he’s enjoyed five wins now. Success would be a good start for his spell in a Trek-Segafredo jersey and his team should offer good support but can he transform this annual attack into the overall win? Nathan Haas can plot a route to victory but like several others it’s dependent on scoring regularly, even if he’s in top form it would only take another rider to close the door on him in a stage finish to miss out on a time bonus and he’s out of the running. He’s capable of placing in sprints, especially on the harder days and is punchy on the short climbs. A similar story for Jay McCarthy (Bora-Hansgrohe) and Patrick Bevin (CCC) and all three are capable of the stage win on Stage 3, to win the sprint from a reduced group on a hilly day. 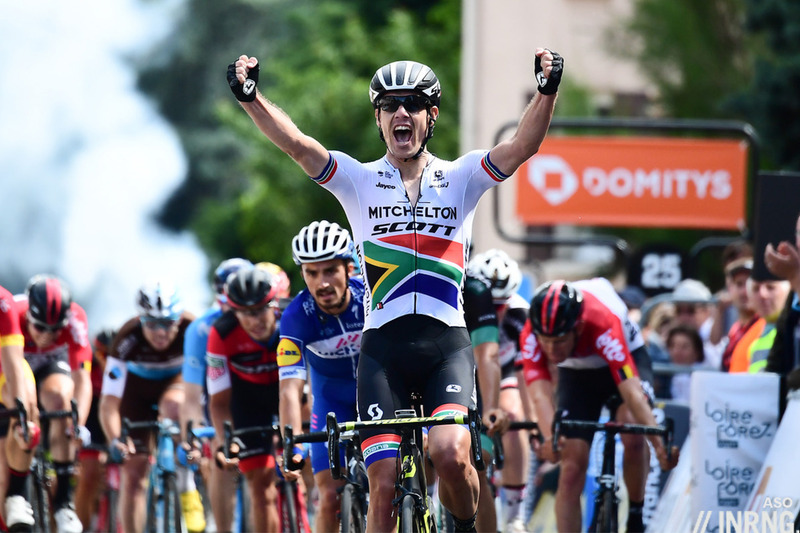 With the Corkscrew and Willunga it could be too hard for them but paradoxically Daryl Impey could be their ticket to the win, Mitchelton-Scott will try contain things and this could give them an opening, especially Haas. Michael Woods (EF Education First) arguably made a name for himself when he attacked on the Corkscrew climb in 2016 (pictured). For a while nobody knew who it was but few will make this mistake now and the Canadian is an outside pick for the race, ideal for Willunga and increasingly confident in general but in a race so often decided on bonus seconds he won’t be worrying the sprinters so will have to make the difference in set piece moves on Corkscrew Road and Willunga. George Bennett‘s a rising star who can match the best climbers on his day and because he’s from New Zealand could be enjoying some summer form already but we’ll see, Jumbo-Visma have sprint ambitions with Danny van Poppel but bring climbing support for Bennett with Robert Gesink. Team Sky’s leader is Wout Poels, more famous these days as a pacer tasked with setting a tempo on the final climbs in grand tours but he’s got a punchy side to him but could find the course simply isn’t selective enough for him. Diego Ulissi has done well in this race before but might have dropped off your radar as he’s not a prolific winner but even in a bad year like 2018 he scored some wins and now his UAE Emirates team have had a management shake-up and results are expected. Dimension Data come with Michael Valgren and Tom-Jelte Slagter, the former capable of slipping away just as everyone is tired from a big effort and the later still good on punchy climbs. Watch for Ben O’Connor too, the promising 23 year old. The strangest tandem is Domenico Pozzovivo and Rohan Dennis, now together at Bahrain-Merida. Pozzovivo’s been close on the Corkscrew before but Dennis is the more obvious pick and even if he’s lost out on the Australian TT title to Luke Durbridge but can still ride Willunga well. Pierre Latour is a top climber and comes with a decent team in his service but it’s hard to see him hustling for every bonus sprint, especially as he’s had back problems during the off-season which delayed his training a little, a placing on GC for points is likely. Ruben Fernandez has been a big hope for Movistar but not delivered as much as some might hoped but has still been in the top-10 in this race twice because he’s a strong climber. So again you can see him place, say, eighth overall but the win looks beyond reach. A similar story for Astana’s veteran L-L Sanchez, able to place well but how can he win? His descending skills won’t get too much of a workout but he was in the top-10 in Sunday’s criterium which says he’s alert already. Sprinters: there are three likely sprint stages. Caleb Ewan won in Sunday’s criterium but it was just that, a crit rather than a World Tour race but he should be fine for a stage win along the way and comes with a Lotto-Soudal team in his service rather than split loyalties. Elia Viviani (Deceuninck-Quick Step) is the challenger, taken down in the crash on Sunday but apart from a sore foot, uninjured and he’s versatile with a first class leadout train. Peter Sagan (Bora-Hansgrohe) should be present but how to beat the pure sprinters? Bahrain-Merida have hired Phil Bauhaus who is capable of occasional World Tour sprint wins, EF Education First bring Dan McClay, Team Sunweb have the promising Max Walscheid who is due a big win soon. Does Jens Debusschere sprint for Katusha or will he lead out Haas? Danny van Poppel is Lotto-Visma’s house sprinter, Kristoffer Halvorsen is Sky’s and CCC have Jakub Mareczko who has won all over the world but not yet in the World Tour. TV: coverage has moved to Channel 7 and its bogan cousin 7 Mate. Both are is geo-restricted to Australians… or those who can tunnel their internet connection to Australia. Otherwise cyclingfans and steephill have links to local coverage and livestreams, just note that some broadcasters may have the rights but this might just mean they show daily highlights long after the stage has finished. You’ll find the stage finish times above for each day and the TDU is a relatively simple race where you need not sit down for hours of coverage, tune in for the final ten minutes of most stages and you’ll probably catch all the significant action, unless the wind gets up and the bunch is shredded far from the finish. Everything feels a bit like an extended pre-season until Omloop, but this scratches an itch and is about as good as it gets until March (although I’m hoping Colombia gets some decent TV coverage this year). As well as the obvious choices I’m interested to see how Mareczko competes now he’s on a WT team – he’s come close in the Giro a few times and if he’s targeted this race, then you never know. For a stage win, that is, not the overall. Thanks. A couple of glitches spotted: Cameron Meyer not Mayer, and Jumbo-Visma not Lotto-Jumbo. Terrible TV timing for us CETers, but me hungry. Sorry, but the season doesn’t start proper until the Opening Weekend in Belgium! First look at new kits, new bikes, new season form. Bah – Nobody cares about those. The season starts with M-SR!!!1! Thanks for this. Will catch the highlights and try to avoid results, methinks. Any idea if tv coverage of Colombia is likely to be an international thing? Very intrigued by that. Yes, the Colombia 2.1 is live on Eurosport for example. Saw a photo preview of this years Pro bikes on a popular Cycling website, never seen such a dogs dinner of awkward shapes and angles, how did things become so horrendously ugly? and that’s not even mentioning the dork discs. Seems like my sentiments are frightening many others too. Rid ethe bike the Pro’s ride, err no thanks. I wish Porte would skip the Oz races for just 1 year and have a more traditional TDF build up. I understand they mean a lot to him as a native, however he has nothing left to prove. Surely the team could put some pressure on him to change his programme if it is his decision. Or if it is the teams decision to go to the TDU they I am not sure why they cant see the benefit of getting a podium/win at the tour would be 100x greater for the sponsors than winning the TDU. Agreed. 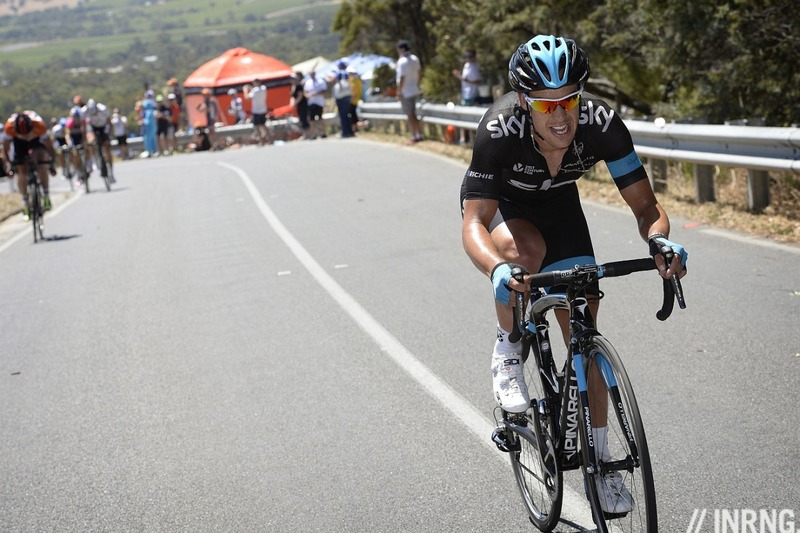 And if he or any other climber wants to win GC they’ll have to go earlier on Willunga than Porte traditionally does. I think originally he wasn’t going to do the TDU this time, but start gently at the Herald Sun Tour. Still who can blame him, there’s a chance to win 500 UCI points from the overall, which is more than you’d get for 4th in the Tour de France or 5th in the Giro, a result Porte could achieve but hasn’t. 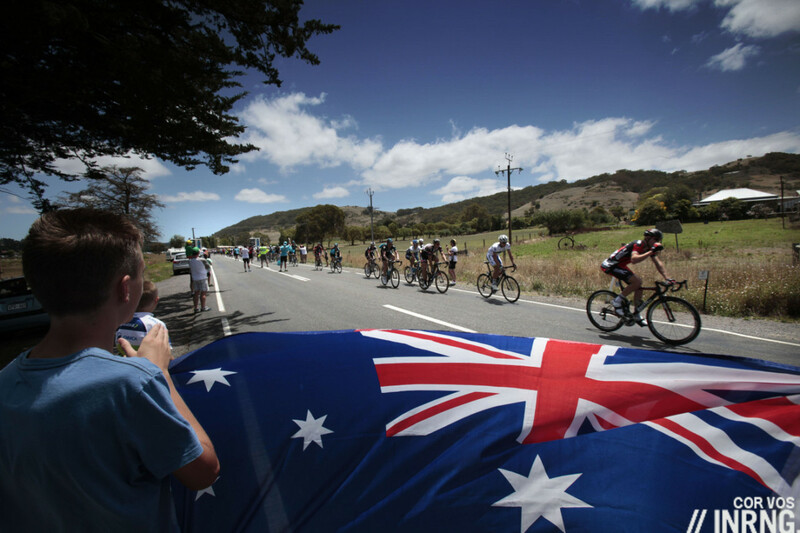 The TDU is right within reach and teams and riders are driven by points, their value as a currency is on the up again with the 2020 UCI reforms. ‘… more than you’d get for 4th in the Tour de France or 5th in the Giro’ – good gravy, that’s absurd. Surely, only cycling would choose to have a system that encourages conservative racing. Wouldn’t have thought Trek would need to worry about being too near the bottom, though. (Even with a Porte DNF at the TdF.) They have a very interesting-looking team for one-day races and stage races. “…chance to win 500 UCI points from the overall, which is more than you’d get for 4th in the Tour de France or 5th in the Giro..” That is just f–king nuts. Not the guys “racing” to get ’em, but the fact they award them for this vacation-in-the-sun, pre-season event. Next someone will tell me you get the same points for winning the California Vacation event in May as you do for winning the Giro!! I’m with Chris above when it comes to MSR. I have to agree with J Evans and Larry T the points system seems very odd. It does not seem to line up at all with the perceived difficulty of both races e.g. 4th at TDF against the best GC riders over three weeks vs 5 stages in January when none of the GC riders are taking it seriously. Or with the historical significance of both races. But i guess the teams can only work in the environment they have been given. That’s exactly the point. It encourages riders to care about an early season, distant hemisphere, upside down climate race. They go and race for points. UCI doesn’t need to encourage riders to go to the Giro or Tour do they? Distant hemisphere – is that synonymous with ‘Euro centric’? ‘Cycle centric’ – which is the appropriate attitude considering the governing body is based in Europe, 100% of WT teams have a European service course and over 90% of WT riders are European residents. So the sport needs to rely on 90% of its sponsorship money from Euro-centric sources. That’s working well. Give some thought to how many recreational cyclists and fans live outside Europe. Also, I don’t like your cloak of anonymity. Because everybody in the whole wide world cares who exactly is Matt Ferris and what s/he thinks? Why do some people get so prissily uptight about putting a name to a comment rather than concentrating solely on what the comment is about? Porte needs to win something, even the race to the showers will do! A wins a win and points mean prizes. But try telling the usual “suspects” above. Loving the “bogan” reference to 7 Mate. New season, same ol’ rehashed comments. It was not effort to predict the usual “Bah humbug, the REAL racing doesn’t begin until Omloop/PN/MSR etc.” as well as shots at Richie Porte for having the temerity to ride in his home World Tour stage race where he has historically done very well. It’s nothing against this race it’s just that a rider of Porte’s calibre has bigger goals and most pro’s seem to think it’s not good to be too close to your peak too soon in the season. There must be a reason why other GC contenders rarely ride it.